Editors note: The Journal attempted to sit down with both candidates for the position of 5th District supervisor for this story. However, incumbent Ryan Sundberg did not respond to at least eight phone calls, three text messages and a pair of emails left for him over the better part of two weeks. We have attempted to include his take on the issues, however, using his campaign materials, a column he submitted to the Times-Standard and his comments at candidate forums. 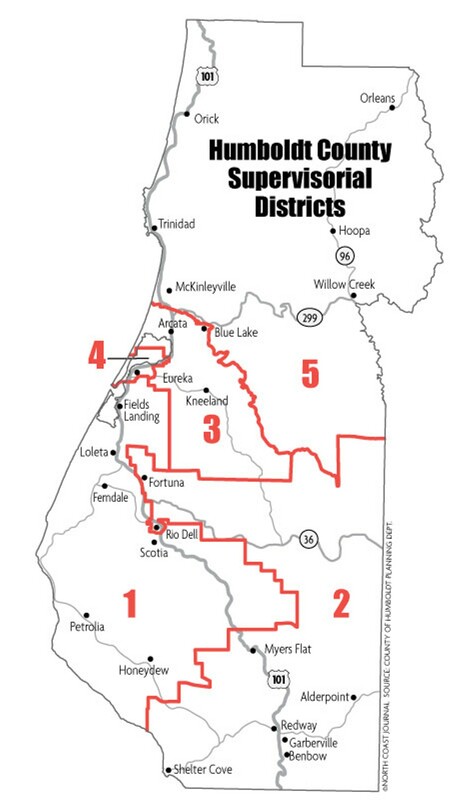 At 1,552 square miles, the 5th District accounts for nearly 45 percent of Humboldt County's landmass. It harbors the world's tallest tree, California's most scenic coastal rocks, four rivers, numerous creeks, timber, dairies, farms and world-famous public lands, including movie-star Fern Canyon in Prairie Creek Redwoods State Park (Jurassic Park, anyone?). The district rises from the ocean, sweeps through cool dark redwoods and up, inland, into the river-crossed, sun-baked Doug-fir, dogwood, oak and madrone of Bigfoot country. Amid all this glory live 26,892 people — about a fifth of the county's population. Around 300 of them live in the city of Trinidad. But the rest live in a dozen-plus unincorporated towns and neighborhoods — the biggest, McKinleyville, is home to more than half the district's residents (15,177) — or on the lands of five tribal entities. These communities are scattered from the Del Norte County border to the Mad River, and from the coast to the borders with Trinity and Siskiyou counties. And while they share certain wants and worries, each have their own particular needs. Some residents live in shacks, others in million-dollar-plus grandiosities, with most in something modest in-between. Some of the district's schools are top performers, while others are barely hanging in there. The district's 15,103 registered voters' political proclivities cover the map, although 44 percent are Democrat. Twenty-four percent are Republican and there's a smattering of other affiliations, but — notably — 23 percent declare "no party preference" (nobody tells them what to think). That's a lot of differently-minded people in farflung places for a supervisor to please. This election, two candidates are vying for that honor (which comes with an $81,585 annual paycheck): incumbent Ryan Sundberg, of McKinleyville, who was elected to the board in 2010, and challenger Sharon Latour, also of McKinleyville. The Journal set out to interview both, focusing on a few key issues — in particular, balancing the diverse interests within the 5th, and marijuana regulation and planning. Only Latour deigned to participate, so Sundberg's takes on the issues below have been cobbled together from his campaign materials, comments at debates and a piece he wrote for the Times-Standard. In national and state park-embraced Orick, population 300-minus and downcounting, they're worried about having enough pupils to keep their school open (it almost closed this year); about turning their malingering burl economy into something more robust — say, at least as big and impressive as that tallest tree in the world, Hyperion the redwood, not far from town; and how to curb crime. "We are so economically depressed," says Orick Chamber of Commerce's Donna Hufford, "we have people living on the edges, without job opportunities, finding other, illegal ways to make a living." There's also the county-managed levee, on Redwood Creek, still in need of stabilizing so it can withstand the next big flood. McKinleyville's residents also fret over crime. Economic development occupies many minds, as well as what a makeover of Central Avenue should look like. Development often outpaces discussions, and the McKinleyville Community Services District has even sued the county over an infill-style rezoning plan calling for more multi-family development in parts of town. "Our infrastructure is not adequate to handle growth in certain areas without being updated," says Dennis Mayo, a director on the McKinleyville Community Services District board. Who, he asks, will pay for that? In Willow Creek, the community services district is desperate to find $7 million to $10 million to build a downtown wastewater sewer system so it can grow, period. Businesses are on septic, now, and there isn't much room for more. A wastewater system would permit new construction, says Willow Creek Community Services District Board President Bruce Nelson. "We don't want to grow a lot," Nelson clarifies — just enough, he adds, to provide more, legal work opportunities for young people. Yes, Willow Creekians have their pot-related issues, as well (more on that later). And crime, of course, is a persistent worry. In the Hoopa Valley, a revised memorandum of understanding between the county sheriff and Hoopa Valley Tribe dominates the current conversation. Due to budget constraints, the sheriff has eliminated the area's substation, there are no longer night patrols, and call response is left up to deputized tribal police — who don't always respond, according to Two Rivers Tribune Editor-in-Chief Allie Hostler. "When you ask the general citizen if they feel safe, they say they feel an increased sense of danger and crime," Hostler says. The tribe has also struggled to maintain its ambulance service, which serves the whole area including a good stretch of busy State Route 299. The county has helped finance it for another year, but its fate will be in question again after that. There is also the ever-present need to protect the area's Trinity River water allocation, and to manage impacts from large-scale trespass pot grows in the woods. Deeper into the 5th — in Weitchpec, Pecwan, and Orleans — concerns arise about fire safety, as well as fisheries health in the Klamath River and the controversial basin-wide Klamath River management plan-in-waiting. That's just a glimpse into the sprawling 5th. So how does one supervisor wrangle it all, while also keeping in mind the best interests of the county as a whole? Latour, who in public debates and interviews has said the key difference between her and Sundberg is her 20 years more of life experience, says she has moved away from the "checklist mentality" of her younger years and now endeavors to slow down, do her homework and then engage in conversation. She admits she has much to learn about the 5th, but declares that "our diversity is our strength." Indeed, she waxes a bit wonder-eyed talking about it. Calling Humboldt, in general, "a fairytale place" that needs caring for else we'll lose it, she says, "We've inherited a cultural respect for the land, of living with the environment, from peoples that lived here for thousands of years before the Caucasian population showed up. "So to be able to slow down and appreciate how the tribes see the water, the trees, the ocean ... is so instructive to us," she says. Getting to the nuts and bolts, Latour lays out her plan of action if she is elected supervisor. "I plan to use part of my salary for an administrative assistant," she says. The assistant will answer her calls in the daytime, freeing her up to "go out and advertise Humboldt Made, to go to Sacramento, to go up to Klamath River talks," she says. She'll have office hours in each community throughout the month. She's big on listening, she says, and conversation. 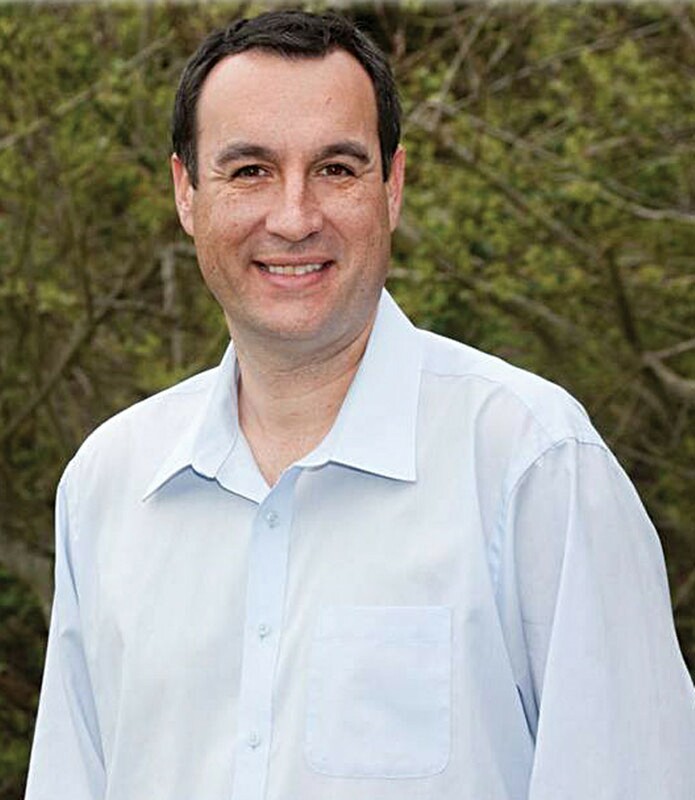 Sundberg, in public fora, has said his lifelong — and his family's generations-long — connection to the area makes him better qualified than his challenger, as does his 14 years on the Trinidad Rancheria Tribal Council. In an April 13 "My Word" column in the Times-Standard, Sundberg said the concerns of the smaller communities in the 5th "must be represented along with the needs of McKinleyville, our largest population center." He noted the broad spectrum of endorsements he's garnered, "from liberal to conservative." "I educate myself by talking to people that represent various sides of an issue in order to make the most informed decisions possible for the whole county," he wrote. In his three-and-a-half years in office, he has had a hand in supporting a number of projects benefiting the 5th, including the formation of the McKinleyville Municipal Advisory Committee, a liaison group between residents and the county, and finding money to help the Hoopa Valley Tribe maintain ambulance service in the east county for another year. The county plays mainly a supporting role when it comes to dealing with large, trespass grows on federal and tribal lands. It has more direct say on what happens in its unincorporated domain. In McKinleyville, indoor pot grows not only inspire home invasions and change the character of neighborhoods, but they wreak havoc on the sewer system, says Mayo, the MCSD board member. When hydroponic growers flush their production's liquid byproduct down the toilet, it causes nutrient spikes. "It causes everything to grow in our sewer that we're trying to get rid of," says Mayo. "So we have to take extra time to treat it, and that costs us money." In Willow Creek, the proliferation of outdoor grows plagues some residents. Pot stink permeates the area, and traveling trimmers flood the town, setting up camp on public spaces. "I'm an old cop and I've gotten used to the idea of marijuana around here, so it doesn't bother me anymore," says Nelson with the community services district. But many neighbors do complain, and some say it's lowering their home values. Nelson says there's also "violence that seems to tag along with the marijuana issue, everything from home invasions to bad guys shooting other bad guys." He doesn't necessarily connect the trimmer crowd with the crime. But their downtown loitering annoys some locals. They just don't mesh, he says. "People look at them and say, 'What's going on with Willow Creek?'" There have been meetings about it, and some hold out hope for a draft countywide ordinance — in the works for several years now — to limit legal, outdoor, personal-use medical marijuana cultivation thusly: no more than five mature plants on ½- to 5-acre parcels, with a canopy not exceeding 50 square feet; at least 20 feet setbacks neighboring structures; 600 feet from public property. Enforcement would be complaint-driven under the proposed ordinance, which was penned by a board subcommittee consisting of Sundberg and 3rd District Supervisor Mark Lovelace. Some growers, calling the ordinance too restrictive and sweeping, have demanded more public hearings on it. The county planning commission recently agreed to continue the conversation, despite urging from the county supervisors, including Sundberg, to get on with it before this year's growing season started. Sundberg, in the April 11 candidate debate in McKinleyville, said medical marijuana production "has a huge impact on businesses because people come through and hang out." In his April 13 "My Word," Sundberg said he was working with the board and community groups "to find a common sense approach that balances the rights of medicinal growers with the rights of neighbors that protects the environment. "We must work to develop a local answer to this challenge because of an absence of clear state and federal guidelines," he wrote. Latour says the county supervisors were wrong to try to wrap up the ordinance process without more hearings. "The tribal voices are not being heard," she says. 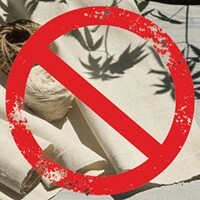 "The medicinal voices are not being heard. ... I can tell you, in Willow Creek, people who've been growing for years have not been invited to a sit-down conversation to help shape the ordinance." To tackle indoor grows, Sundberg, with 1st District Supervisor Rex Bohn, is looking into an excessive energy use tax for the unincorporated areas, similar to that instituted in Arcata. Latour supports the idea, saying law enforcement should have that avenue for pinpointing "potential disasters and safety hazards." She says the county also should be preparing for post-legalization. "Medical marijuana could be a staple for many generations to come," she says. "Humboldt County has every right to set the industry standard for medical marijuana. We have physicians who are experts. We have generations of growers who have nuanced the strains of different marijuanas to such a fine degree that they know what these strains do." Candidates, in full performance mode before an election, tend to seize every issue in sight to toss high and talk big about. But they know that, more likely than not, the work will come down to not just juggling but, sadly, letting some balls drop. So in lean-budget times, what would our candidates' priorities be? "I don't think it's all about where the money is," says Latour. "Money matters. I am a freakishly frugal, accountable accountant of other people's money. Given that, I don't think all of our problems are solved through money." Take, for instance, the cutback in law enforcement out in the Hoopa area. One way to deal with that, she says, is to get the community more involved, Neighborhood Watch and volunteer civilian patrols. Train the young people, she says, and the old people, too. "I was a volunteer sheriff's deputy cadet in college," she says. "I also spent time as a volunteer in juvenile probation in Santa Barbara County." So, public safety is one of her top priorities, just not one she thinks relies on just cash. But if money is the solution, what then? Latour says that, first and foremost, "we absolutely have to pay attention to aging infrastructure. "People have to have adequate water, sewer and roads," she says. In his campaign flyer, Sundberg's key statement says he "would like to continue working to create more living wage jobs, improving public safety ... creating a truly first class educational system for our children while continuing to protect our natural environment." Regarding public safety concerns in the Hoopa/Willow Creek area, Sundberg has proposed a half-percent sales tax to fund more officers. In his "My Word" piece, Sundberg says he supported the new federal courthouse in McKinleyville, "Which will bring many living wage jobs to the District"; that he has worked to keep garbage and recycling service jobs in the district, and that he helped Cypress Grove Chevre locate its goat dairy in McKinleyville. 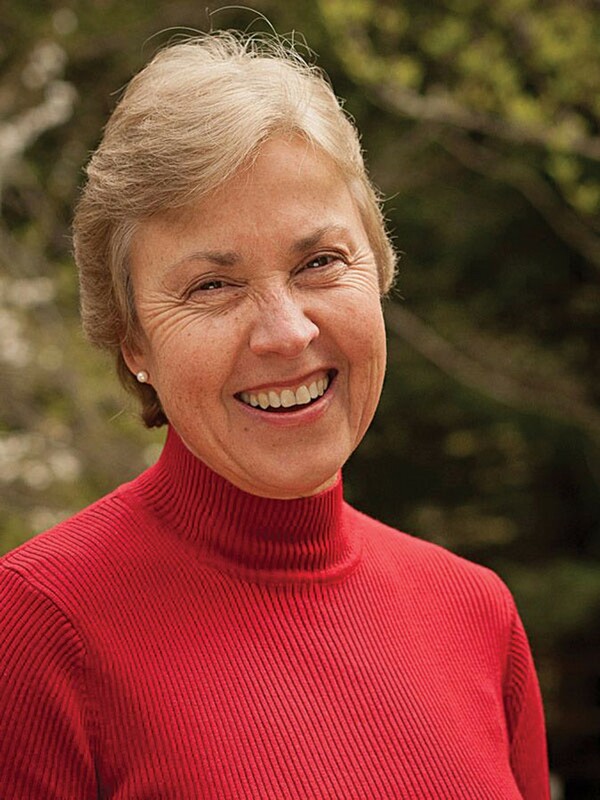 "My many long-term connections in Humboldt County will continue to allow me to assist local businesses in their efforts to expand and provide good jobs," Sundberg wrote. "With cooperation and hard work between our business community, county employees, and the Board of Supervisors, I hope to bring the first business park to the airport property in McKinleyville. Utilizing the advantages of the freeway, airport, existing infrastructure, and the airport's free trade designation, I am confident we can make this economic engine a reality." Sundberg also notes his role in bringing broadband to rural burgs in the district such as Orleans and Orick. That's an effort the Karuk and Yurok tribes spearheaded together and we're not sure exactly what Sundberg's role was in it, as we didn't have a chance to ask him about it. Latour thinks the way to boost employment, not to mention a sense of well-being, in Humboldt's struggling towns is to get serious about self-promotion. As she's said before, she'd like to get out there and tell the world about Humboldt-made products. But the residents have to get in on it, too. Take Orick, for example. It could use a facelift, much like Willow Creek gave itself and the one McKinleyville is talking about doing. "They could really capitalize on their history," she says. Gold mining. Dairy. Agriculture. Timber. Big barns and cool rodeo grounds. Find some way, she says, to market that past rather than dwell on it. "When I say 'Loleta,' you say — " Latour begins, pausing for effect. "Thank you!" she says. "I love Orick's simplicity — green grasses up to those gorgeous hills. Orick sits in the middle of unbelievableness." The town just needs to decide who it wants to be, she says. "When I say 'Orick,' you could, in the future, say, 'honey!' or 'cheese' or 'burlwood' or 'furniture' or 'wine' or 'beef,'" she says. "They've got the skills to do these things and [yet] they are singing the Humboldt dirge, 'We used to do timber ... and it's gone, so don't talk to me.'" Where did you grow up? McKinleyville. How long have you lived in Humboldt County? 39 years. Can you please provide a brief education history? Arcata Christian School K-8; McKinleyville High School; College of the Redwoods; Humboldt State University (BA in business administration, 2002). Can you please provide a brief work history? 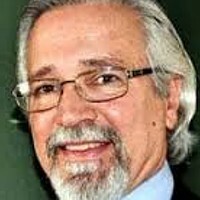 Humboldt County supervisor, 2011-present; Trinidad Rancheria Tribal Council for 14 years; independent insurance broker with Sundberg Insurance Agency in Arcata. Current occupation? Humboldt County 5th District Supervisor. What do you consider the three most important endorsements you have received to date in your campaign for supervisor? In his April 13 "My Word" in the Times-Standard, Sundberg made special note of endorsements by Congressmen Jared Huffman and Mike Thompson, and Sheriff Mike Downey. Where did you grow up? Santa Barbara. How long have you lived in Humboldt County? 8 1/2 years. Can you please provide a brief education history? Associate of Arts in Sociology from Santa Barbara City College 1974; BA in sociology from UC Santa Barbara in 1976; Master's in public and social affairs from UCSB in 1979; PhD in athletic administration and leadership theory from USC in 1983; Master's in international relations from Troy State University 1989; Master of Arts in theological studies from San Francisco Theological Seminary in 2007. Can you please provide a brief work history? Athletic Administration from age 21 to 30. USAF age 30 to 50. Presbyterian seminary (two years) then pastor age 51 to present. What is your favorite movie? Midnight in Paris or Doctor Zhivago. What is your favorite book? Parker Palmer›s The Promise of Paradox. What magazine do you read most regularly? Oprah's magazine, O. If your campaign had a theme song, what would it be? Survivor's "Eye of the Tiger". Who is your role model? Eleanor Roosevelt. Who is your favorite fictional politician? The President (Michael Douglas played him ... I think West Wing spun off this one) from The American President. Who is your favorite real-life politician? Mohandas Gandhi. What is your favorite hobby? Walks near water of any sort. What would your superpower be, and how would you use it? Instant forgiveness of others for themselves and each other. You can listen to the archive of KHUM's radio interviews, One on One with the Candidates, at KHUM, or watch the video at Access Humboldt. And on May 12 from 7-8 pm on KEET-TV Channel 13, you can tune into the League of Women Voters of Humboldt County-moderated forum featuring the 5th District candidates.